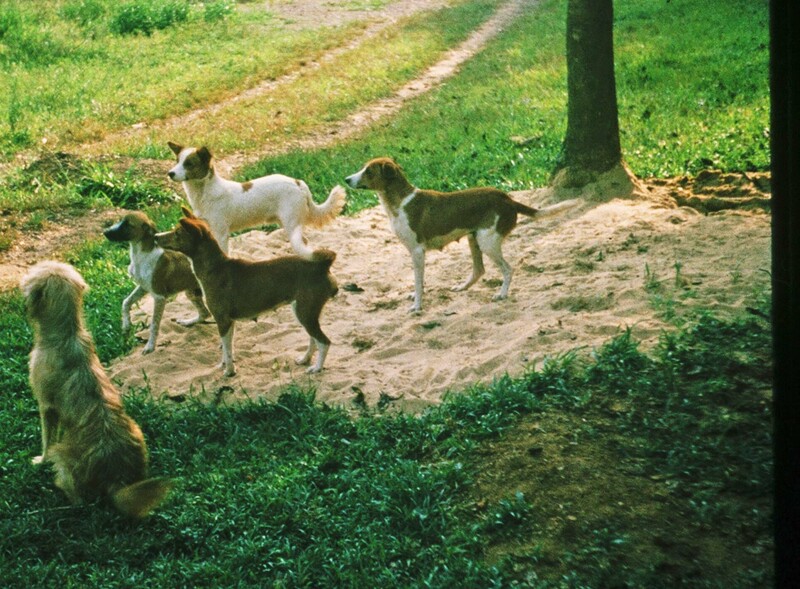 Do You Part, the Liberian named Basenji that adopted me in the Peace Corps and that Bill Guerrant refers to in his book review below, is the small dog with the curly tail standing in the forefront. One of her many exploits was slipping behind me into the grand opening of a mosque in Gbarnga— almost causing a riot. I am tickled that two of my favorite Word Press bloggers enabled me to create the above headline. Now, before you dash off a note to me that I have misspelled Hillary, the *Hilary I am talking about is not Hillary Clinton. It’s Hilary Custance Green, a writer and author living in England. Bill is Bill Guerrant, a one time attorney, now farmer, and soon to be author living in Virginia. Both have recently written unsolicited reviews of my book, a fact for which I am both grateful and somewhat humbled. Writing a book is hard work. At least it was for me, and I am sure it is for most authors. Thousands of hours, even years, can be spent on the project. The page that takes a few minutes to read probably required several hours to write, or longer. Sometimes words flow; I have those minutes when my fingers dance over the keyboard. But more often than not, the process is painfully slow, like sitting in a dentist’s chair and waiting for the dentist to get his hand and drill out of your mouth. As an aside, I was sitting in my dentist’s chair last week when my dental hygienist started giggling while she was reading my chart. “What?” I asked grumpily. My mouth is no giggling matter. Usually dentists start planning their next trip around the world when they look inside. “I see,” she said laughing, “that you have listed dentists under things you are allergic to.” Yep, that would have been me. Fortunately people have been kind. It’s true that my book isn’t out there in the world where the professional critics are paid big bucks to be nasty, but people I care about and respect seem to genuinely enjoy the book. What I had hoped for— that it would introduce readers to Liberia and her people, that it would provide insight into what being a Peace Corps Volunteer is like, and that it would provide some laughs along the way, seem to be happening. Just before starting Ben Falk’s book I read frequent-commenter Curt’s book The Bush Devil Ate Sam, a delightfully entertaining (and informative) memoir of his time in the Peace Corps in Liberia in the 1960s. The book is a page-turner, and I highly recommend it. Curt enrolled at UC-Berkeley just in time for the beginnings of the student rebellion there, putting him on the frontlines at the beginning of one of the world’s greatest movements for social justice. Some of that story is told in his book, and a fascinating story it is. Most of the book tells the story of the time he and his wife spent in Liberia. I laughed out loud and I learned a lot, which only happens with good books. The story of his dog Do Your Part crashing the grand opening of the community’s first mosque (Curt having been mistaken for “the international media”) is alone worth the price of the book. The book closes with some insightful thoughts about Liberia’s tragic history of the past few decades. It caused me to think of a Liberian woman who was a classmate of mine in seminary, a kind and gentle person who lived through the horrors of the civil war there. Whenever she tried to talk about it, she cried. Something she said about Americans has stuck with me. She said that here when we say grace before a meal (if we bother), it just seems perfunctory. In Liberia, she said, people are truly grateful for every meal and they offer thanks with joy at the miracle that food is. I wish I could recall her exact words, because I’m not doing them justice. Suffice it to say that Curt’s concern for Liberia and the Liberian people resonated with me, even though I’ve never been there. Hilary and Bill are both caring and highly productive people, contributing to and making a difference in the world. Hilary is a sculptor and the author of two books that are available on Amazon. Presently she is working on Letters from Relatives of Far East POWS—Writing to a Ghost, a book that explores an almost forgotten aspect of World War II involving Far East Japanese prisoners of war and their families. It is a story that deserves to be remembered. Her blog is the Green Writing Room. Bill is a farmer who is a leader in the movement to reintroduce America to the natural and healthy foods being grown on small farms across the country. In his own words: “Our produce is grown naturally, without pesticides, herbicides, or synthetic fertilizers. Our animals are raised humanely.” His blog is Practicing Resurrection. ** For those of you that do your reading in EBooks, The Bush Devil Ate Sam is available on Amazon and a number of other sites around the world. Simply click on the cover of the book in the right hand column above. It will take you to my author’s page and the sites. If you prefer a written copy, the book will eventually be available on Amazon and several other sites as print on demand copies. In the mean time you can write me at cvmekemson@gmail.com and I will be glad to send you a copy while supplies last. Please include your address. I will send an invoice with the book. You pay when you receive the book. The cost is presently $13 plus mailing costs, normally $3.00 in the US.